A serious injury can set you back in time, money, and general well-being. Whether it’s a slip-and-fall or a car accident, you’ve suffered because of someone else’s actions, and you deserve compensation for that. Unfortunately, it’s not always as simple as filing a claim for your settlement and receiving a fair amount for your damages. You’ll need to know how to calculate a personal injury settlement in Idaho to get the funds you need for recovery. Because calculating your settlement can get complicated, make sure you know what to expect before you begin. 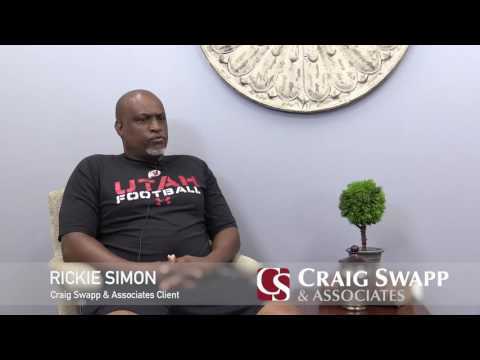 Consider enlisting the highly qualified help of an Idaho injury attorney from Craig Swapp & Associates. Your first concern is likely the financial losses you’ve suffered because of your accident. After all, an injury can get expensive quickly, especially when you require additional and ongoing physical and occupational therapy. These financial losses are collectively known as economic damages, and if you don’t include all of them in your injury claim, you could be stuck in a financial bind for years to come. These damages should include any of your expenses from the accident. For example, your mind might go directly to things such as your hospital bills or property damage. However, what if you have long-term injuries that require accommodations to your home or vehicle? These expenses should also be included in your settlement. Fortunately, calculating your economic damages is pretty straightforward, as most of them have a specific dollar amount attached. You’ll just need to add them together and estimate future expenses caused by your accident. Of course, not all your damages are financial. Although economic recompense can replace broken items or cover hospital bills, they can’t fix emotional and mental distress. In Idaho, you’re allowed to include the intangible effects of your accident, too. These damages are difficult to calculate on your own because they don’t come with in an invoice and their value is based on the relative impact each has had on your life. For example, you might have suffered a spinal injury in an semi-truck collision. For the average person, that’s already extremely traumatic. If you were a professional athlete, though, it means you’ll be left without your career and something you deeply loved and valued. In this case, the athlete might receive a larger settlement than someone who has a sedentary office job. Calculating the true and full value of your personal injury settlement might seem straightforward, but when you’re including the intangible effects of an accident, they don’t always arrive with an invoice. Without the necessary knowledge and experience, you could be looking at much lower settlement amount than you deserve. Instead, reach out to a lawyer from Craig Swapp & Associates. Get started with your free consultation to maximize the funds you deserve for your injuries. When you’re ready to file a claim, call 1-800-404-9000 or complete the online form below.